Happy Wednesday everyone!! 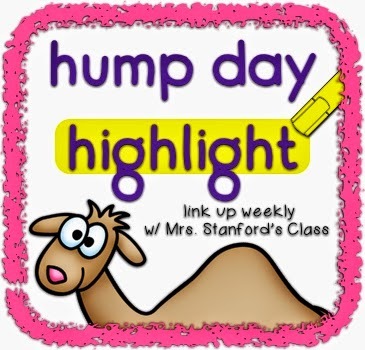 I'm once again joining Mrs. Stanford's Class for her "Hump Day Highlight" linky party! This week I'm highlighting something I did in my classroom this week that was SNOW much fun!! We have really been working on understanding 10 and some more in kindergarten. We use games, ten frames, Rekenreks, dice, spinners, etc. 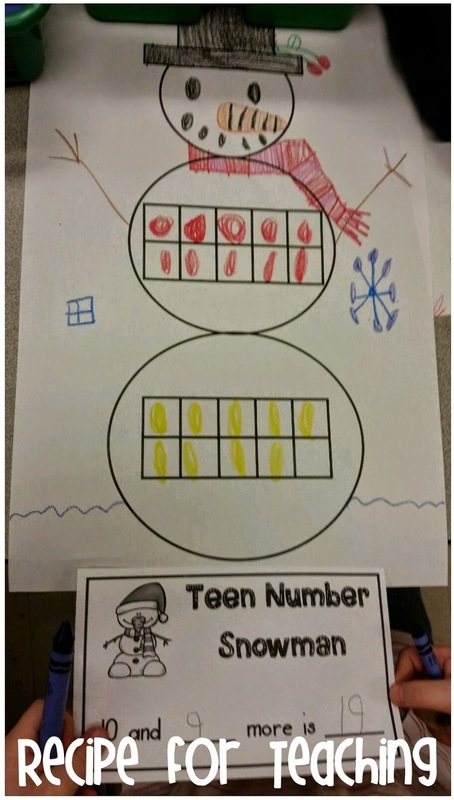 A few weekends ago while watching the Ravens game, I suddenly got the idea to make an activity for my students to "Build a Teen Number Snowman." My students are pretty much obsessed with all things Frozen so I thought this would be PERFECT! 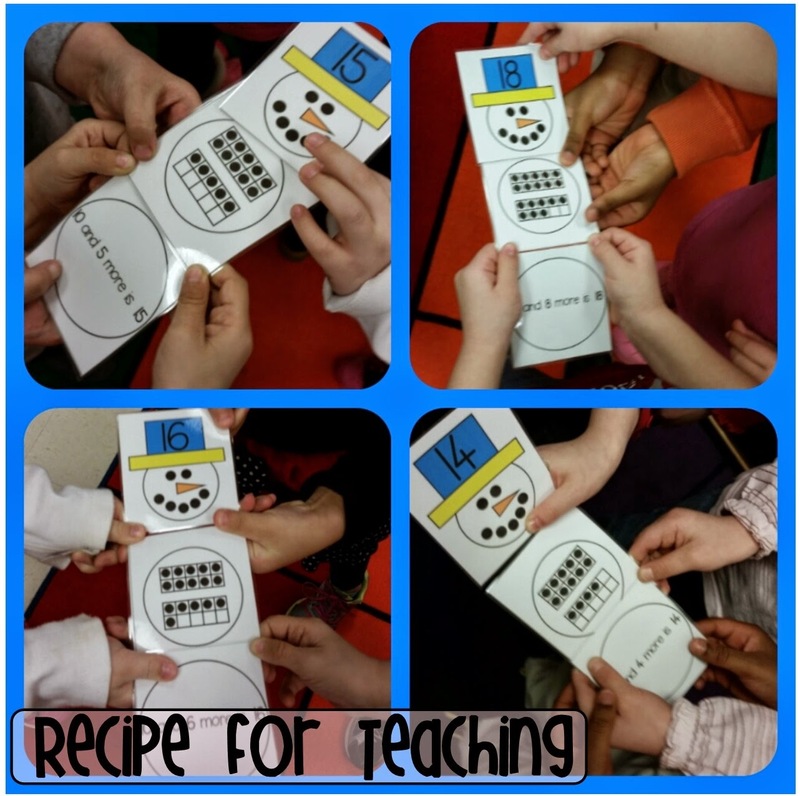 I made snowmen for the numbers 11-19. Here is a picture of it in action in my classroom this week! I passed out a card to each student and then they had to go around and find their group of 3 friends to build the teen number snowman. They LOVED it!! They were super excited for me to take the picture of their completed snowman. The snowman was copied on 11x17 paper so they had plenty of room. They were able to pick a number, 11-19, and then draw the dots on the ten frames to represent the number. I just had them use crayon, but I could have used Bingo dobbers, stamps, or stickers! After they filled in their ten frames, they had to complete the sentence: 10 and ___ more is ___. I LOVE how these turned out and the kids LOVED making them! 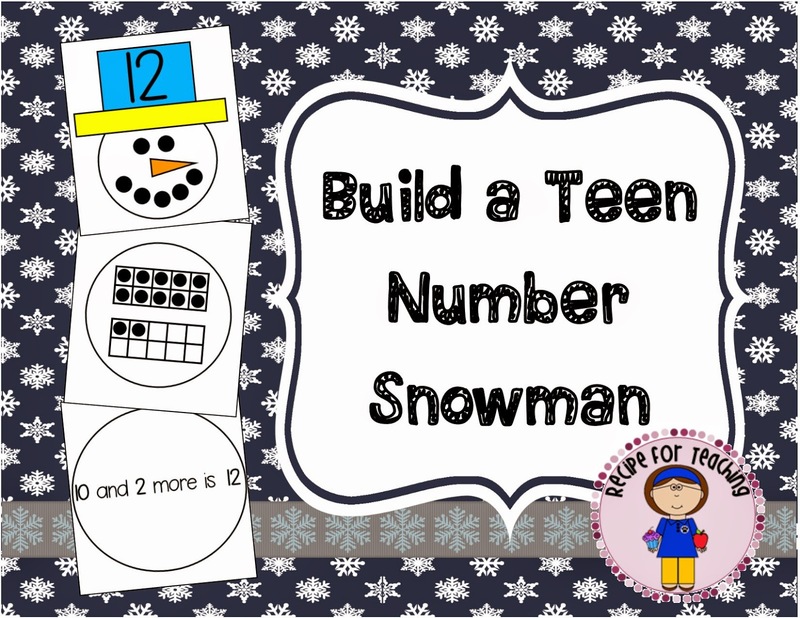 If you would like to purchase my "Build a Teen Number Snowman" activity click the image below to go to my TpT store! It is only $1! !